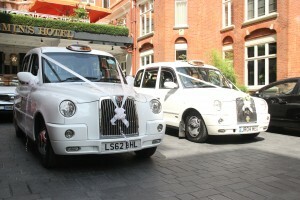 Today’s Wedding saw Lily and Emma come together for Richard & Becky’s big day. 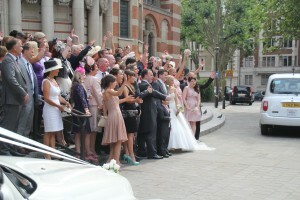 The ceremony was to take place at Westminster Cathedral which should not be confused with Westminster Abbey. 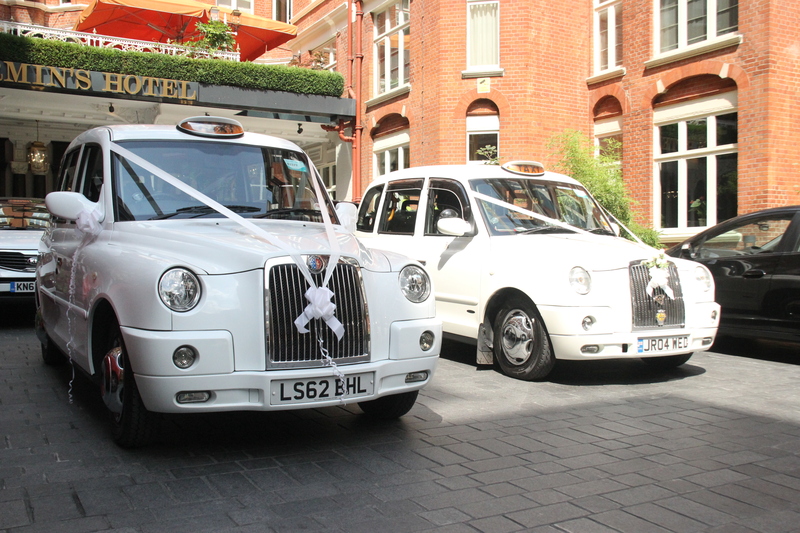 Westminster Cathedral is located Francis Street and is a Roman Catholic Church, the view from Victoria Street of the cathedral is quite stunning. Becky and her bridesmaids were getting ready at St Ermins Hotel which is tucked away in Caxton Street SW1, opposite New Scotland Yard. There drive over to the cathedral is quite short and during Wedding ceremonies the cars are allowed to pull up on the pavement right outside the main stairs at the front of the cathedral which is usually closed to traffic. 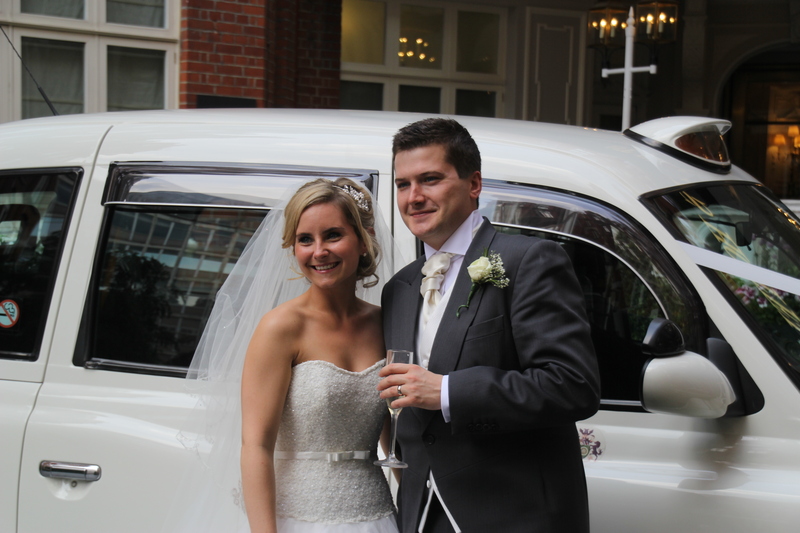 After the ceremony Emma transported the bridesmaids and the parents back to St Ermins Hotel while I took the Bride and Groom in Lily over to St James Park for photographs. St James Park is the most beautifully landscaped park in London, and an ideal location for some lovely photographs of the happy couple. 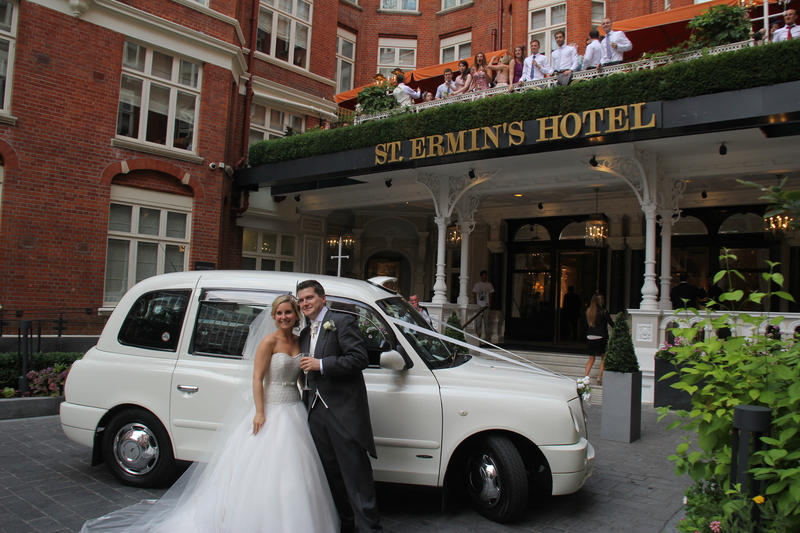 After St James Park we headed back to St Ermins Hotel while Richard and Becky enjoyed a glass of chilled champagne, and then a few more photographs on the forecourt of the hotel while their guests assembled on the balcony for a group pic. 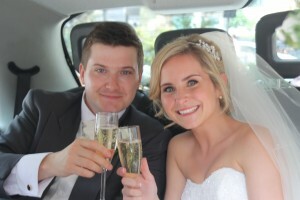 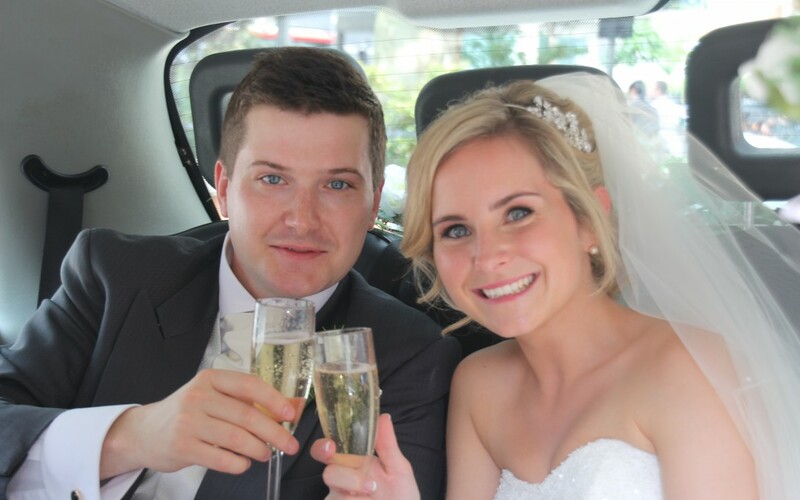 Richard & Becky make a lovely couple and all of us at Wedding Taxis wish them all the best for the future.